Be discreet and secretly win! Each player is the only person to know which colour is their own and should try as discretely as possible to ensure that this is the majority colour across the playing board. In turn, players place a pyramid. These form piles of which the colour is determined by the piece at the top of the pile. If a player places a piece on top of a pyramid of the same colour, both pyramids cancel each other out and are removed from the game: the pile then tales on the colour of the piece underneath. When all pieces have been played, the player whose colour holds the majority on the board wins the game. 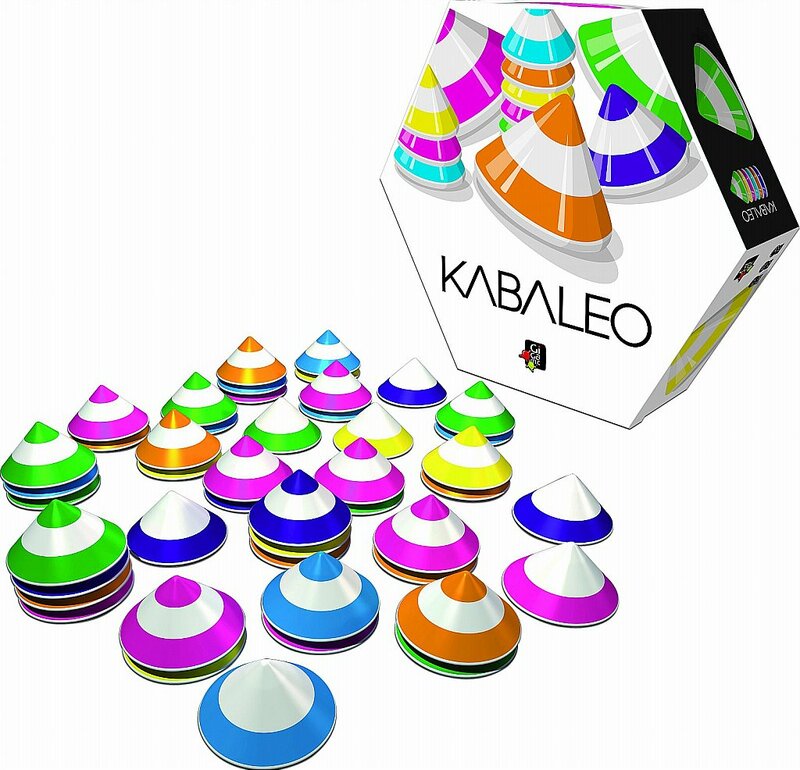 A game mixing bluff and strategy, Kabaleo promises some intense and unique experiences! I would like more information about Kabaleo Board Game - Gigamic by Coiledspring Games.